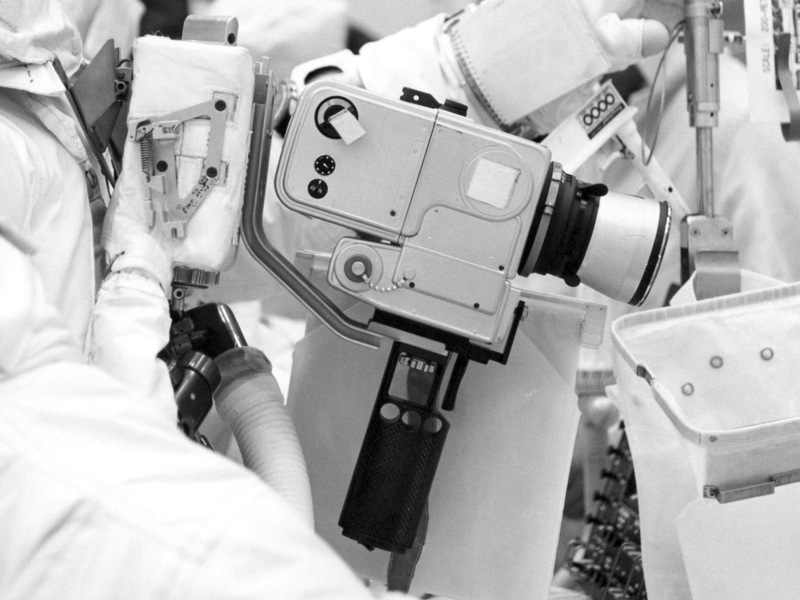 While in the LM cabin before an EVA, the astronauts would secure each Hasselblad camera, along with a trigger/handle assembly, to a camera bracket via a screw and thumbwheel. The cameras were then loaded in a Equipment Transfer Bag for the trip down to the surface. 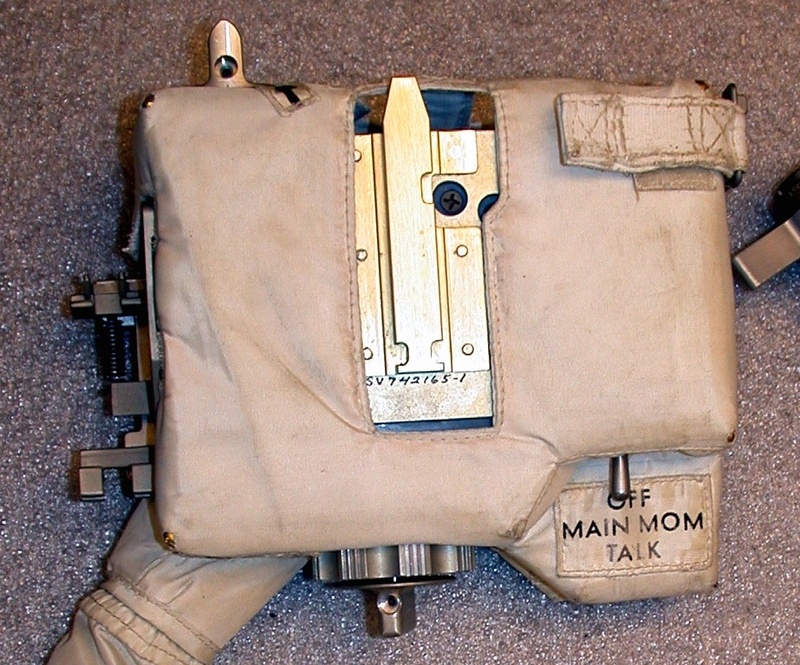 There, each astronaut then mated his camera to a fitting on his chest-mounted Remote Control Unit (RCU). 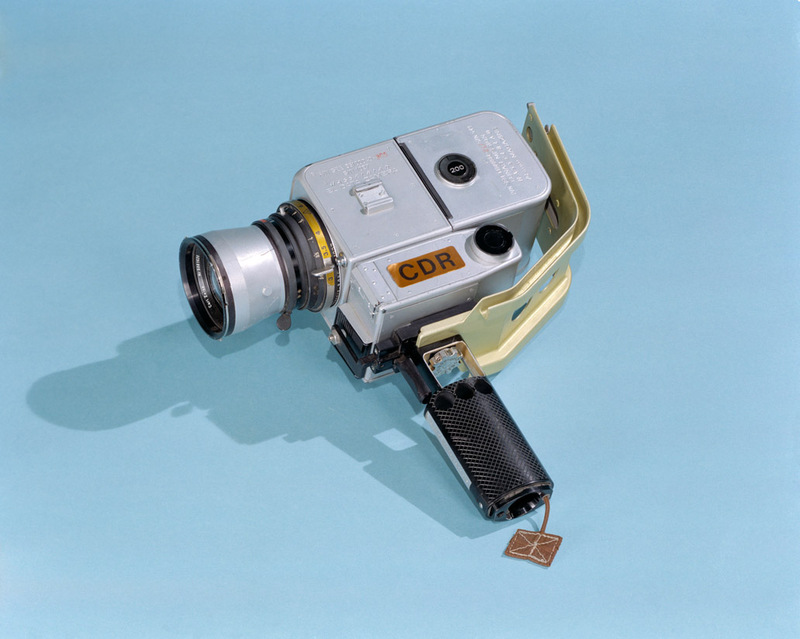 Post-flight photo of Apollo 14 CDR EVA Hasselblad plus trigger/handle attached to the yellow-colored camera bracket. NASA Photo S71-34039. Click on the image for a larger version. 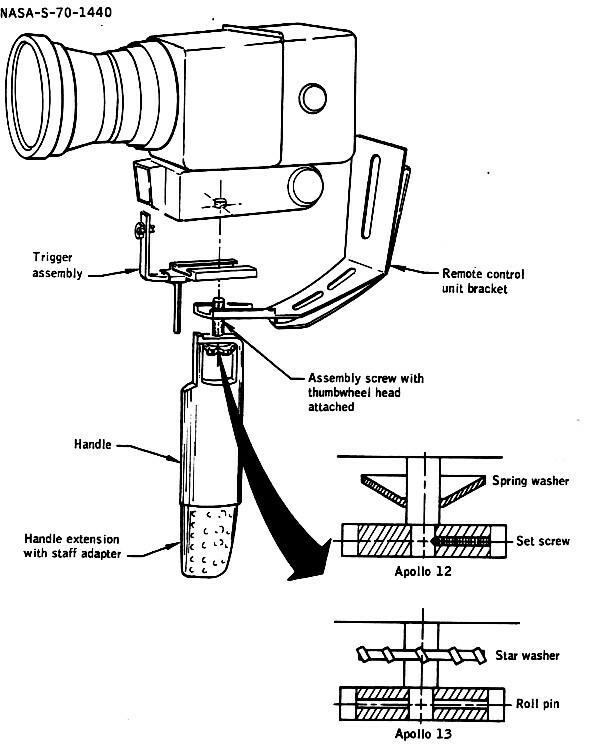 Apollo 12 Mission Report figure 14-45, exploded view of the Camera-Trigger-Handle-Bracket Assembly. Detail from Apollo 17 training photo KSC-72P-363 showing Jack Schmitt's camera bracket mounted on his RCU. Jack was seated on the the LRV during a fit check. Click on the image for a larger version. See, also, the full image. National Air and Space Museum photo of the back of an Apollo RCU Camera bracket. Origin unknown. The astronauts fit the bottom of the dovetail on the bracket over the tapered top of the RCU camera mount seen the next image. 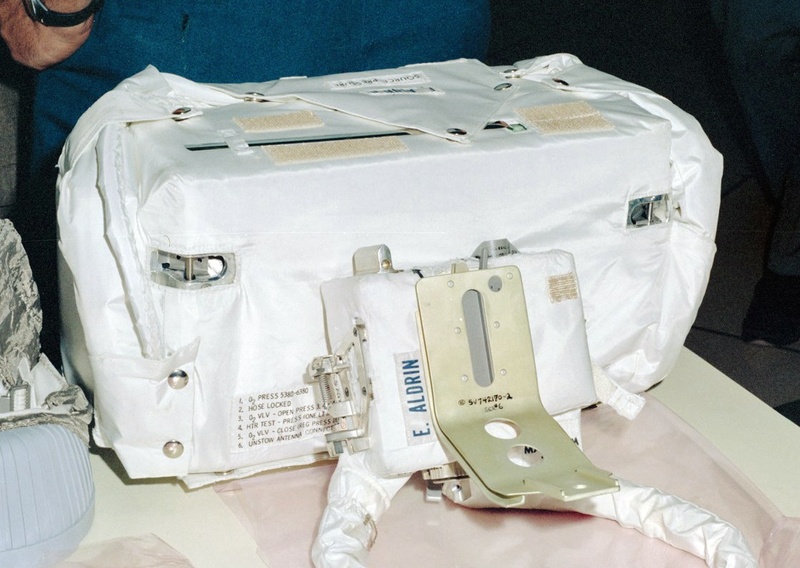 They then pushed the bracket down until a spring-loaded latch at the bottom of the release lever on the astronaut's left engaged with the cut-out seen just above the Phillips screw head in the next image. Image used with permission, Smithsonian National Air and Space Museum (TMS a20010294000sg1). RCU training unit photographed by Ulli Lotzmann at the National Air and Space Museum in 2006. View from the front.